A few days ago, we were reviewing the most reliable Rummikub game in the Windows Store, the Rummi app developed by Reflection IT. Now, according to the release note that has been published in the Windows Store, it has received an important update. 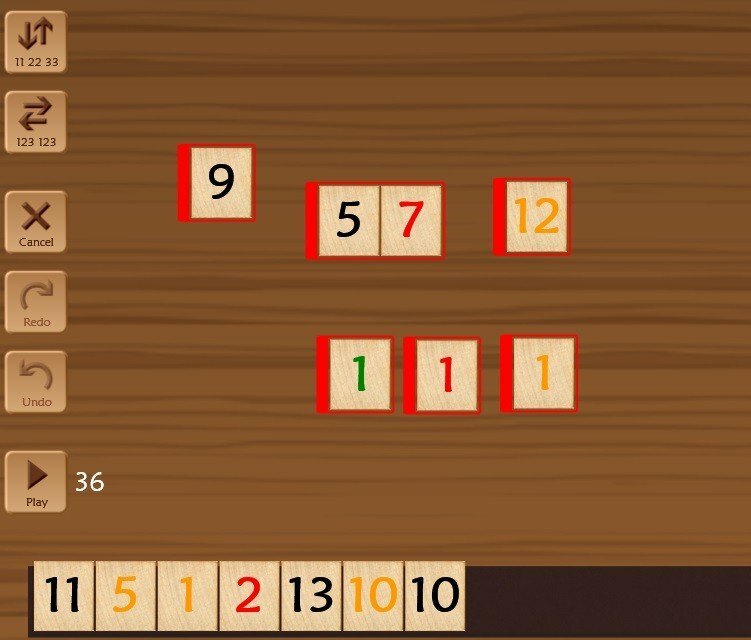 As I have previously mentioned in the first review of the Windows 8 Rummi game, it’s the best Rummikub app to download from the Windows Store and install on your Windows 8 tablet. Now, the update that has just been released brings improved Joker handling and now, the split valid runs when removing middle tiles, something with which the users were having problems. And, overall, the developer has improved the stability of the app. Rummikub was invented by Ephraim Hertzano, a Romanian-born Jew, who immigrated to Mandate Palestine in the early 1930s. He hand-made the first sets with his family in the backyard of his home. The game combines elements of rummy, dominoes, mahjong and chess. Hertzano sold the first sets door-to-door and on a consignment basis at small shops. Over the years, the family licensed it to other countries and it became Israel’s #1 export game. In 1977, it became a bestselling game in the United States. With the occasion of researching more about the game, I had pleasantly discovered that it was created by a Romanian. If you too love the Rummikub game and want to play it on a Windows 8 tablet or desktop device, then go ahead and follow the link from below to get it. We will keep notifying you about the updates that it receives, if some.